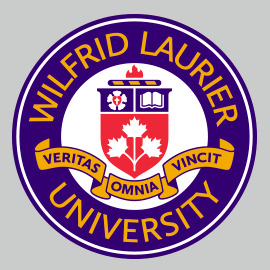 Waterloo – Wilfrid Laurier University has appointed new deans to lead two of its faculties. 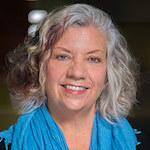 Beginning July 1, Lauren Eisler will become dean of the Faculty of Human and Social Sciences, based at Laurier’s Brantford campus, and Dawn Buzza will become dean of the Lyle S. Hallman Faculty of Social Work, which has programs in Kitchener and Brantford. Both Eisler and Buzza have served as the acting deans of their respective faculties and were chosen following extensive search processes. Their new terms will last three years. Lauren Eisler served as acting dean of Human and Social Sciences from 2015 to 2017. During her tenure, she successfully shepherded Laurier’s first fully online program, the BA in Policing, through its initial years, and led the development of several new program initiatives in the faculty such as the Master of Public Safety. Eisler joined Laurier’s Brantford campus in 2004 as one of four professors to develop and teach in the new Criminology program. She became the program’s first program coordinator in 2005, serving multiple terms until 2012 – during which time enrolment increased significantly. She also oversaw the development of certificate and diploma options for Criminology and an MA program in Criminology. Eisler holds a PhD in Sociology from the University of Saskatchewan. She continues to supervise graduate students and is a manuscript reviewer for the Wilfrid University Press and the Journal of Youth and Society. She recently completed the third edition of her book, Crime and Criminology: An Introduction, published by Oxford University Press. She maintains an active research program, including projects in partnership with the City of Brantford and the Brant Haldimand Norfolk Legal Clinic. 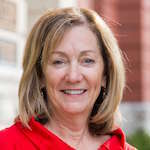 Dawn Buzza has been acting dean of the Faculty of Social Work since 2016. She also served as acting dean of the Faculty of Education in 2013/14, as well as associate dean of Education for five years. As interim dean of the Faculty of Social Work, Buzza led development and approval of a new online, part-time Master of Social Work program. She also supported the creation of Laurier’s Centre for Indigegogy and created a visiting scholar-in-residence program to support Indigenous and non-Indigenous relationships within the faculty. Buzza joined Laurier in 2007 as an associate professor in the Faculty of Education after having held leadership roles at the University of Victoria, University of Waterloo and Simon Fraser University. She holds a PhD in Educational Psychology and an MA Education (Counselling), both from Simon Fraser University. As a researcher in educational psychology, Buzza focuses largely on self-regulated learning – how students can become more strategic and self-motivated learners. Some of her current work involves collaborating with secondary school teachers to develop and test classroom innovations that incorporate self-regulated learning strategies within regular instructional activities.